Illinois had operated under a “siloed” data structure, where different agencies used incompatible or not integrated data systems that prevented agencies from sharing data. This impeded the state government’s ability to aggregate and synthesize information or employ predictive analytics for early intervention and prevention. Moreover, under this model, residents had to contact multiple agencies to find information or sign up for services. Often, residents would fill out a paper form, and then physically travel to the offices of another agency to fill out another paper form with identical information. This was an inefficient system that wasted the limited resources of the state and created a frustrating experience for residents. Encourage efficient program management, leading to increased productivity of State employees. To accomplish these goals, the eMOU agreement established an operational committee that facilitates data sharing requests among the agency partners. The committee is comprised of the State’s Chief Data Officer and Chief Information Officers from signatory agencies. 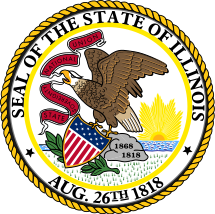 The state of Illinois created and signed this agreement within only seven months due to strong support from the Office of the Governor, Illinois Department of Innovation and Technology executive leadership, and agency directors. The agreement was instrumental in Illinois’ IT transformation. Uses National Institute for Standards and Testing (NIST) security standards to ensure the highest level of data protection. The agreement provides a legal foundation by which participating agencies can easily share data across state programs. By signing the agreement, agencies adopt the legal, security and data governance framework in advance of any data sharing requests. Unlike agency-to-agency data sharing agreements, once a data request is made, participating agencies can focus on the technical components of data sharing without having to worry about the legal components.